The execution of a business process (BP) in today’s enterprises may involve a workflow and multiple IT systems and services. Often no complete, up-to-date documentation of the model or correlation information of process events exist. Understanding the execution of a BP in terms of its scope and details is challenging specially as it is subjective: depends on the perspective of the person looking at BP execution. We present a framework, simple abstractions and a language for the explorative querying and understanding of BP execution from various user perspectives. We propose a query language for analyzing event logs of process-related systems based on the two concepts of folders and paths, which enable an analyst to group related events in the logs or find paths among events. Folders and paths can be stored to be used in follow-on analysis. We have implemented the proposed techniques and the language, FPSPARQL, by extending SPARQL graph query language. 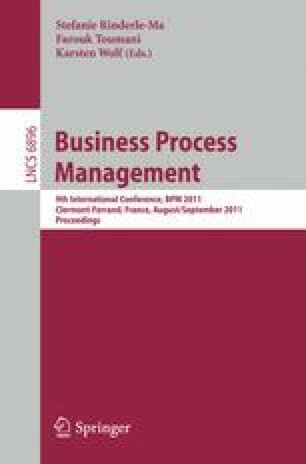 We present the evaluation results on the performance and the quality of the results using a number of process event logs.